I don't really read a lot of MG novels, so I'm by no means an expert, but every once in a while I come across one that blows me away with the sheer awesomeness of the story and the characters. 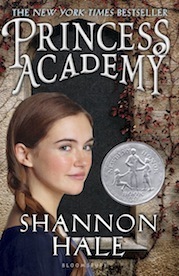 Princess Academy by Shannon Hale: I LOVED THIS BOOK! I've heard people rave about it since I started looking around GoodReads. I cannot believe it took me this long to read it! I love how it shows how important an education is and there are just so many characters for me to adore! Miri is a really strong character, loyal, friendly and smart. I'm beyond excited that I'll get to read the sequel soon! Tuesdays at the Castle by Jessica Day George: THIS BOOK! Seriously, you guys, this book blew me away! I was smiling the whole time while reading it, it was just so cute! It also has a really strong main character who completely stole my heart! And the castle itself is just as much a character as the actual humans are. I love how it changes up the rooms by how it liked the people living in them. Also, there's a faded stuffed animal that turns into a real lion, and if you were like me as a kid, that's EXACTLY what you fantasized about happening! 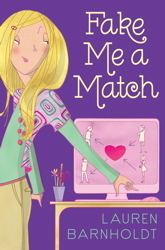 Fake Me a Match by Lauren Barnholdt: I really liked Sometimes It Happens by the same author and wanted to give her MG novel a shot. And it was just so sweet! The main character's father is moving in with her stepmother and the stepmother has a daughter who our MC just genuinely wants to befriend. And she's willing to put aside her own feelings to do it, so she's trying to play matchmaker. It's just so cute and adorable and I just wanted to hug her for it. Also, I love that the stepmother isn't by any means portrayed as evil! 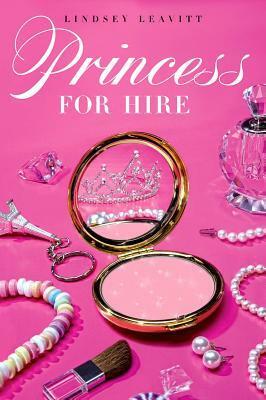 Princess For Hire by Lindsey Leavitt and The Royal Treatment by Lindsey Leavitt: SO MUCH LOVE for this series! I still need to read the last one, but guys, it is just amazing! I know little girl me would have read these books to pieces and then some! I would have dreamed of getting contacted to work as a sub like Desi like I did about getting a Hogwarts letter. I still secretly hope either of those things happen, cause that would be AWESOME. It's just such a fun, magical world that I can easily get lost in it. I'm always looking for that next read that will keep me smiling for days, are there any MG novels you would recommend? Some I NEED to put on my list? Let me know! I used to read MG novels all the time. This past year I have been reading more YA, but I do still love MG books. Have you read The Evolution of Calpurnia Tate? That is a wonderful MG! Also, totally agree with you about Princess Academy and Tuesdays at the Castle. Have you read anything else by Jessica Day George? My fav is Sun and Moon, Ice and Snow. The Evolution of Calpurnia Tate sounds adorable! I simply adore Shannon Hale and Jessica Day George! They're such fabulous storytellers! Oh, you should! It's a quick read and you absolutely not regret it, it was SO good! i love Princess Academy and have the second book at my house right now!! Liesl & Po. :) I haven't read too many MG titles but there are lots of really popular ones that I've been wanting to try out. 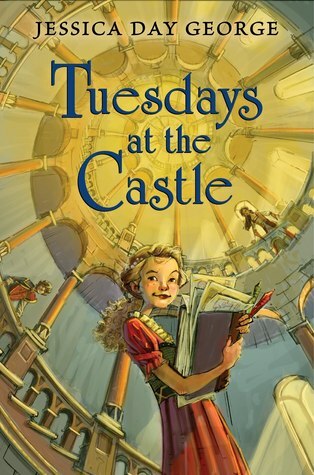 Tuesdays at the Castle is being published in Australia! So excited for it! I've heard only good things about Liesl & Po! Hope you get to read Tuesdays at the Castle, it's amazing! I really enjoyed the 1st Time-Traveling Fashionista book by Bianca Turetsky...it's about a girl who gets transported back to the Titanic after putting on a dress in a vintage clothes shop (I reviewed it on my blog if you want to read more). The 2nd one is about Marie Antoinette, I haven't read it yet, but it looks good too! I also liked Elsewhere by Gabrielle Zevin...it's very, very sad but good. Oh and 11 Birthdays by Wendy Mass! :) It's a very quick read about a boy & girl who have been BFF's since they were babies until a fight that causes them to stop speaking on their 10th birthday, which they share. They don't speak for a year, until their 11th birthday comes around and something odd happens.